Behind the name of the Miner Alumni Association’s new home is a 1925 graduate who grew up on an Iowa farm and came to Rolla to study mining engineering. A pioneer in offshore oil and gas exploration, Karl F. Hasselmann got his first taste of drilling for black gold on a summer job in Oklahoma his junior year. After graduating, the football and track letterman joined the California Co. as a field geologist, gaining the experience that led to his next career step as the chief geologist for Sinclair Exploration Co., with responsibility for prospecting in Austria, Hungary and Germany. While working in Europe, two turning points changed his life: He began researching how to use gravitational survey methods to locate offshore oil — and he met and married an American vacationing abroad, Marjory Nell Meyer. After returning to the United States in 1933, Hasselmann was ready to look for oil in the Gulf of Mexico. He founded Houston-based Salt Dome Oil Corp. and began using the gravitational methods he developed to identify possible oil pools. After detecting a likely source in Galveston Bay, he drilled. In February 1938, Salt Dome Oil, in partnership with Standard Oil Co. of Texas, discovered one of the first oil pools in the Texas Gulf — a forerunner of the massive offshore developments to come in the Gulf of Mexico and worldwide. The research launched nearly a decade earlier by the young geologist delivered results. Throughout his career, Hasselmann maintained a strong connection to Missouri S&T. He was awarded a professional degree in 1945 and an honorary doctorate in 1966. He served as president of the Houston alumni section, president of the Miner Alumni Association and co-chair of the 1964 centennial fundraising campaign. 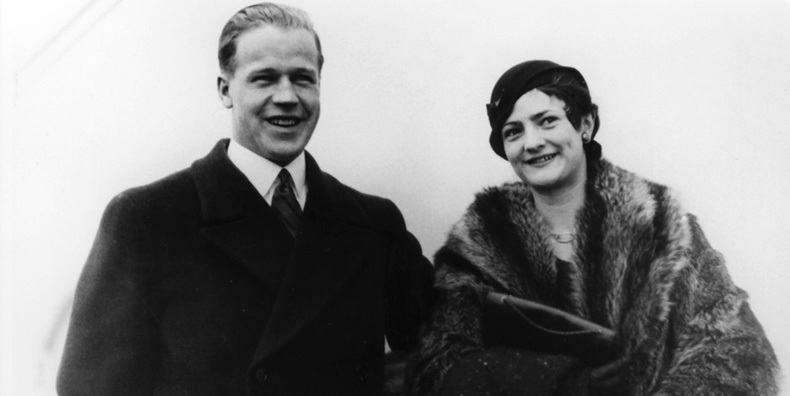 In addition to establishing the Karl F. Hasselmann Chair in Geological Engineering at what is now Missouri S&T, Hasselmann and his wife, Marjory, established chairs at Rice University and at the Mayo Clinic. But the contribution that made the greatest difference to S&T was an estate gift that encompassed not only a significant monetary bequest but also the continued proceeds from mineral rights and oil and gas leases held in trust. As Missouri S&T’s most generous donors, Karl and Marjory Hasselmann have contributed more than $20.4 million to date. Their remarkable legacy is recognized in the naming of the new alumni home, which will serve as the headquarters for alumni visiting campus. 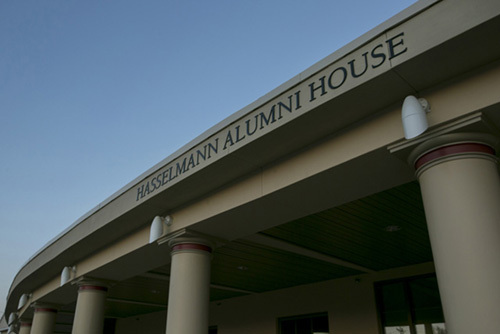 The Miner Alumni Association held a public dedication ceremony for Hasselmann Alumni House on Saturday, March 14.